PSL is thrilled to announce its second recognition as a Global Leader in IT and Business services by Clutch. In addition, the renowned platform included PSL in its 2018 Clutch 1000 list, a ranking of the top B2B companies through all industries and regions, and on which PSL secured a position within the top 100. Both distinctions come as a great honor to PSL and its community, whose hard work and commitment to excellence is driven by a tireless attention to purpose, looking to positively impact clients, communities, and society through our work. We receive these recognitions humbly and find in them motivation to keep working towards bigger, more challenging goals. PSL ensures engineering talent receives ample training in both technical and interpersonal capabilities in order to constantly elevate the skill level of their internal resources, as well as make good on the company’s mission to help individuals to better themselves and influence society positively. In 2018 alone, PSL delivered over 60,000 hours of training across all roles and on various topics, from Cloud architecture to performance engineering and more. PSL’s interest in advancement is due, in no small part, to its desire to be constantly refactoring and improving all processes and products. At PSL, we’re always looking for way to better ourselves, our methods, and our technology. Our engineers enjoy spaces to explore and collaborate in PSL Labs, our robust innovation program, that evaluates and develops innovation projects to provide solutions to real-world problems with cutting-edge technology. PSL offers a variety of learning materials, courses, guilds and training sessions to help members reach their full potential, confront new challenges, and give back by sharing their own knowledge and experience further down the road. In this sense, members are constantly discussing and bouncing ideas off each other, feeding off each others’ views and input to reach greater conclusions than one mind alone could arrive at. Moving forward, PSL is committed to maintaining its high-quality service and attention to client success, while at the same time working to positively impact communities through various corporate social responsibility programs, including Women in Technology. In 2019, PSL intends to continue celebrating and empowering its female engineers and promoting the participation of women in technology and science. And, 59% of IT stakeholders in companies with more than 5,000 employees say they are more likely to disrupt compared to 48% of those working in companies with 1,000 to 5,000 employees and 39% of those with less than 1,000 employees. The survey, which includes responses from over 300 IT executive across the US and the UK, was developed to uncover why some companies are adapting quickly to the digital world and others are facing immense challenges that leave them vulnerable to innovative and adaptive disruptors. 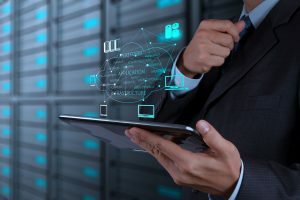 More specifically, the survey looked at the challenges companies are facing in relation to digital transformation strategies, the industries that are facing the greatest challenges and the steps successful companies are taking to stay in the game and change how they approach business with IT outsourcing companies. Overall, the report has made it clear that it isn’t just about technology and operating in a digital world, rather any digital transformation strategy has to clearly outline how the intended initiatives impact the work employees do and the way in which they view the company where they work. Leaving human resources out of the digital transformation does a disservice to employees and perpetuates an environment in which the status quo remains unchanged. An overwhelming majority of respondents, 78%, believe that the human element is the most difficult part of the transformation, meaning culture, organizational structure, etc, and for good reason. While there was ample evidence to support this, each company will have to take a deeper dive into their own structures to see how to best support employees while implementing a digital transformation. As a technology executive or as a tech employee in the midst of a digital transformation nearshore outsourcing, it can be daunting to think about being disrupted instead of being the disruptor. However, as we’ve seen from this report and others, if you pay attention to the human element and apply change management practices that can clearly outline how the intended changes benefit each employee and make roles easier and more productive, you only have to worry about selecting the right technology. Disposable Cup Supplier Malaysia Are An Usual View For Mainly All People.